Denim on demin. Everytime I hear that phrase I think of Britney Spears and Justin Timberlake at the VMAs in 2001. They made such an impact. The way they decided to pull off the denim on denim look is probably the reason why I was always so scared to try the look to be honest. As discussed in my Trend Tuesday post just the other day, fashion evolves and revolves all the time. And guess what, denim on denim is back baby (though now it also boasts the name Canadian Tuxedo at times). I am loving it! I love watching how people with completely different styles take the trend and completely make it their own and let their individuality shine through. Though the end result always look effortlessly pulled off, getting there is often a daunting task. This is one of those looks that is easy to pull off but there are a couple of things that need to be kept in mind otherwise you’ll end up looking a hot mess. 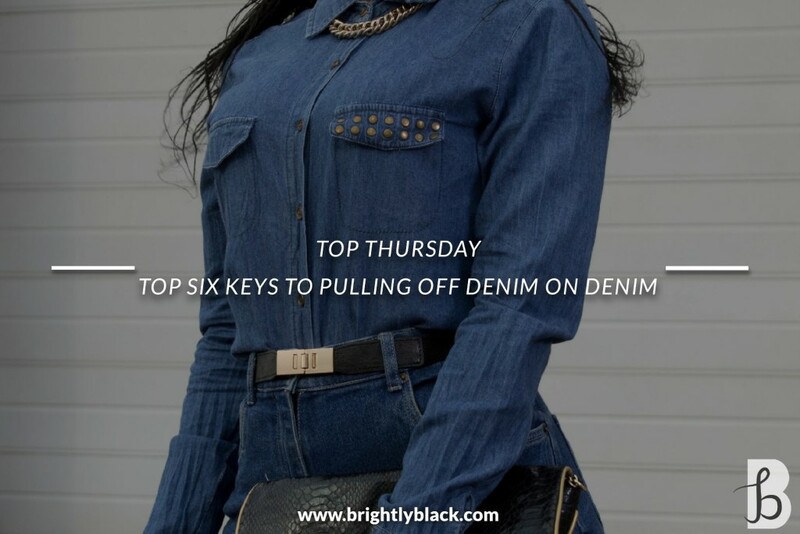 Here are the top six key things to keep in mind when trying to pull off the denim on denim look. If you’re still new to the trend and haven’t quite figured out how to pull the look off quite yet, play it safe by working with different shades of colours together. For example, pairing a black pair of denim jeans with a white denim jacket. You cannot go wrong with this approach and it’s pretty simple to pull off. Once you’ve gotten the hang of it and are comfortable with the look you can then venture out into blue-on-blue denim and the like. Denim jeans, denim jacket, denim clutch, denim hat. I mean it gives me a headache just listing it. The key to a timeless denim on denim look is simplicity. 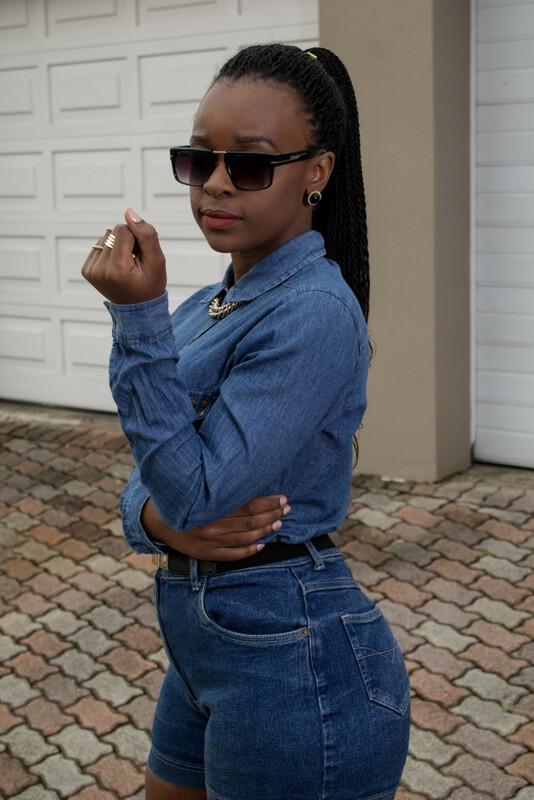 Keep the denim part of your denim on denim look confined to just your clothing. Nothing else. Absolutely never! As stated above, wearing different colours is the easiest way to pull off the perfect denim on denim look. Highlight areas of your body you want to show off by wearing lighter coloured denim and hide your not-so-friendly parts with dark denim. So for example if you want to slim your legs and thighs down a little while enhancing your chest area then dark coloured jeans paired with a lighter denim top would be absolutely perfect. 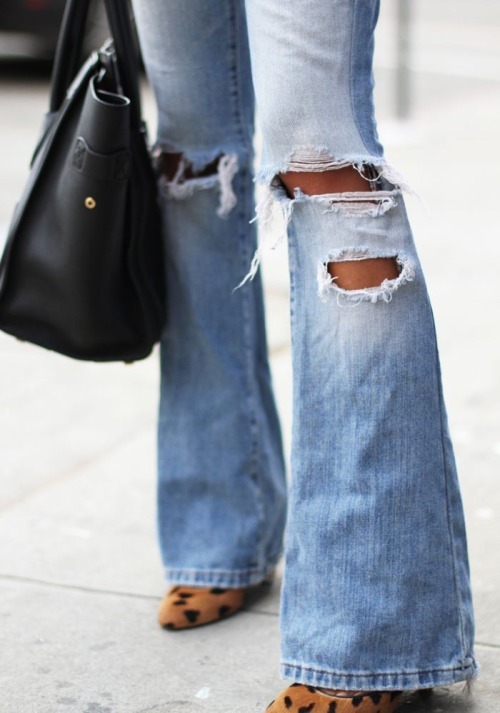 Distressed jeans lend themselves to the denim on denim look. They add an extra flare to a look that can turn very boring, real quick. Go on. Rip away! Don’t be afraid to class-up your denim on denim look with a luxe-looking heel or tuxedo blazer. You could even do a simple red lip to enhance your look and take the outfit to a whole new level. 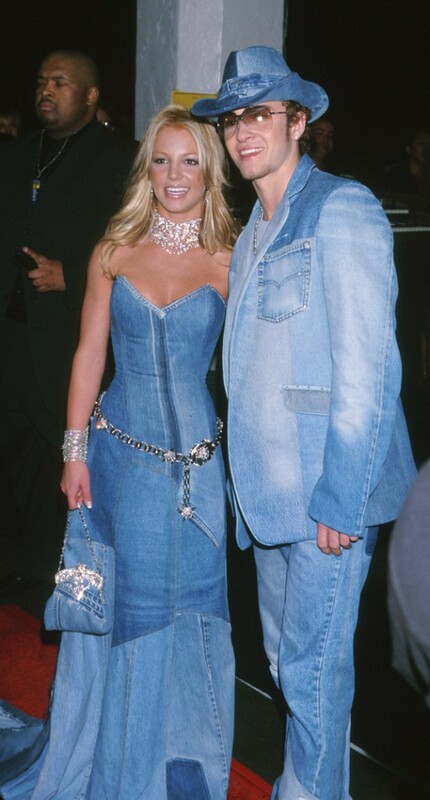 Everytime I hear the phrase denim on denim I immediately think of Britney Spears and Justin Timberlake. They are the poster people for how NOT to pull off a denim on denim look. While I feel it is impossible for anyone in the history of denim to ever go this wring again? Please, be careful! What are your feelings on denim-on-denim? Comment below!